These Divisional Operators hold strong positions in their respective markets and pride themselves on their quality of service and finished product. EVZ is strongly focused on the synergies between and within the divisions to generate significant organic growth coupled with a "front end" approach to expand our service, client and geographic base. The company is committed to the occupational health, safety and welfare of all our employees, contractors, sub-contractors and visitors to our workplaces. 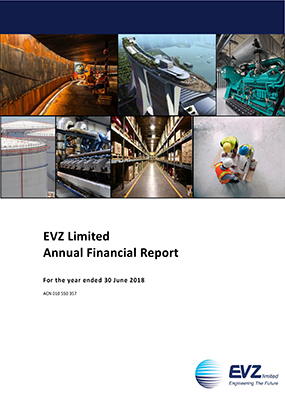 EVZ is equally committed to protecting the environment and minimising the environmental impact of our operations. EVZ has a direct workforce of approximately 390, almost all of whom are skilled tradesmen, which it regards as its primary resource.